Sergey Kovalev climbs up the SI's P4P rankings after defeating Jean Pascal. 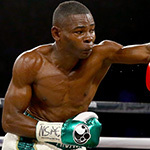 SI.com's latest pound-for-pound boxing rankings complied by analysts Richard O'Brien, Greg Bishop and Daniel Friedman. SI.com weighs in each month with a ranking of the best fighters in boxing, pound-for-pound. The order is determined using point totals based on top 10s submitted by SI's boxing panel—Richard O’Brien, Greg Bishop and Daniel Friedman. Each fighter's ranking is accompanied by his current record and division. Note: All statistics are current through Feb. 29, 2016. The Lord of the Flyweights is the most complete fighter in boxing today, a brilliant technician who brings a thrilling aggression to every bout. In October, Gonzalez—affectionately known as Chocolatito—blew out Brian Viloria on the undercard of Gennady Golovkin’s middleweight title unification against David Lemieux. Thanks to HBO, Gonzalez’s profile has risen considerably; the network intends to keep him on Golovkin’s undercards and believes that, against the right opponent, Chocolatito can headline his own show. In his next fight, Chocolatito will defend his title against ninth-ranked McWilliams Arroyo on Apr. 23 at the Forum in Inglewood, Calif.
With his no-doubt-about-it-this-time beatdown of Jean Pascal in late January, the Russian-born self-styled “Krusher” cemented his status as one of the most dangerous and effective offensive forces in boxing. But for all his firepower—and intimidating mean streak (he plainly made it his business to punish, and not just dispose of, Pascal)—the 32-year-old Kovalev is also a very well-rounded and remarkably disciplined fighter. The only real question mark? His chin—which Pascal did nothing to test this time around. Despite the loud bluster of WBC champ Adonis Stevenson, Kovalev’s next real challenge appears likely to come against Andre Ward later this year—in what will be a crowd-pleasing battle not just for 175-pound supremacy but for P4P bragging rights as well. Golovkin’s reign of terror continued last fall when he outclassed titleholder David Lemieux. Skill, speed, power; Golovkin has it all. He just needs high-profile opponents to be willing to face him. 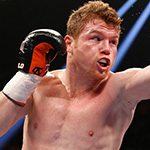 The hope is that 2016 will bring a showdown with Canelo Alvarez, which looks more and more like it may become a reality later in the year. For now, Golovkin will look to stay busy with his 16th title defense coming against undefeated challenger Dominic Wade on April 23 at the Forum in Inglewood, Calif.
Few would dispute that an active Ward would merit a place higher on this list. But Ward has been plagued by long stretches of inactivity; he has fought only twice in the last three years, against pedestrian competition. That will change in ’16, with Ward armed with a lucrative contract with Roc Nation and a recent move to 175 pounds. A fight with Kovalev looms as one of the most anticipated in the sport. But first, Ward will knock the rust off as he makes his debut in the light heavyweight division with a fight against Sullivan Barrera on Mar. 26 at the Oracle Arena in Oakland, Calif.
Crawford, the 140-pound kingpin, is the total package and has shown an ability to entertain in recent fights, which should serve him well in trying to secure bigger bouts down the road. There was talk of a matchup with Manny Pacquiao—in which Crawford might well have been favored. But Pacquiao opted instead for a third go-round with Timothy Bradley. That left Crawford to face the far less compelling Hank Lundy. The Philly native came to fight, but Crawford had far too many tools and far to much power, disposing of Lundy with a 5th-round TKO, pushing himself up in SI's P4P rankings a few places. Now, the question is who will be on the chopping block for Crawford next. Alvarez is arguably the biggest star in boxing, a ticket-selling, pay-per-view-driving machine. He’s also fast becoming one of the best fighters in the sport, a fact showcased in a decisive win over Miguel Cotto on Nov. 21. Blessed with superior speed and concussive power, Alvarez has developed rapidly in recent years. He’s the money man in the 154- and 160-pound divisions but the one fight the boxing world wants to see is a middleweight unification fight with Golovkin. Alvarez says he wants it—and his history suggests he means what he says. Before that superfight takes place, though, Alvarez will defend his title against Amir Khan, the former two-time world champion, on May 7 in Las Vegas. Few fighters’ recent résumés are as impressive as that of Bradley, who since 2012 has picked up wins over Pacquiao, Marquez, Ruslan Provodnikov and Brandon Rios. Against Rios, Bradley paired with trainer Teddy Atlas, who seemed to inject new life into the fighter’s camp. On April 9, Bradley will look to hand Pacquiao another—and career-ending—loss. After that? A possible big-money matchup with Saul Alvarez. The Pac Man was once at the very top of this list, but losses to Juan Manuel Marquez and Floyd Mayweather in the last three years have removed the aura of invincibility. 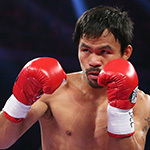 Pacquiao has declared that he will fight just once more, against Timothy Bradley on April 9. When Pacquiao climbs into the ring that night, he will be 37, nearly a year removed from his dismal loss to Floyd Mayweather and subsequent shoulder surgery. It will be a subdued end to what has been one of the most glorious and entertaining careers in recent boxing history. The crowd-pleasing Philadelphia fighter with the nickname Swift was 6-0 in junior welterweight title bouts before moving up to 147 last year. In his debut at that weight, he battered Paulie Malignaggi into a ninth-round TKO. On Jan. 23, Garcia took on veteran Robert Guerrero in what was an entertaining fight but, in the end, a fairly easy win for Garcia—who has solidified his spot as one of the welterweight division’s premier figures. In recent weeks, there has been speculation that Floyd Mayweather may come out of retirement to face Garcia, an event that would no doubt create a spectacle boxing hasn't seen since Mayweather defeated Pacquiao in May 2015.